Coming in June 2019. PRE-ORDER your copy now! 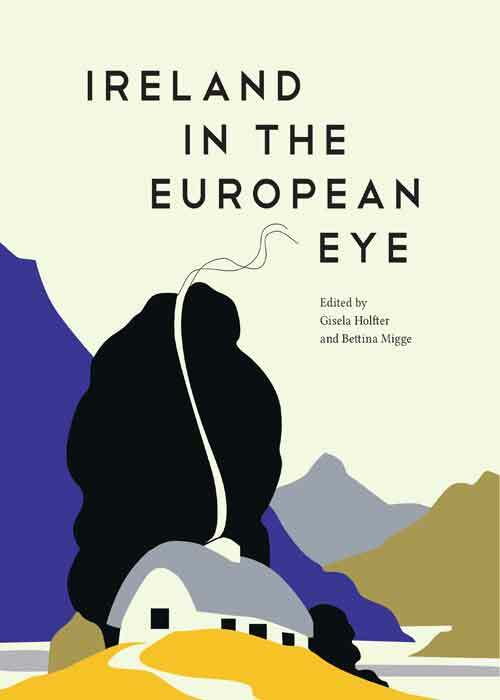 The book examines the historical background and contextualisation of Ireland in Europe; representations of Ireland in European literature and Irish literature in Europe; Irish art, architecture, film and music in European discourses; and European studies, tourism and journalism. With contributions from: David Clark, Fiorenzo Fantaccini, Anna Fattori, Joachim Fischer, Paul Gillespie, Anne Karhio, Linda King, Joanna Kosmalska, Marieke Krajenbrink, Brigid Laffan, Fergal Lenehan, Caoimhín Mac Giolla Léith, Edward Moxon-Browne, Lynda Mulvin, Anna Ní Ghallachair, Éamon Ó Ciosáin, Thomas O’Connor, Mervyn O’Driscoll, Finola O’Kane, Harry White. Gisela Holfter studied in Cologne, Cambridge and St. Louis, and worked as an Assistant Teacher in Belfast and as a Lektor at the University of Otago in Dunedin, New Zealand, before coming to Limerick in 1996. She is Senior Lecturer in German and co-founder and Joint Director of the Centre for Irish-German Studies. Her research interests include German-Irish relations, German literature (19th century to contemporary writing), exile studies, migration and intercultural communication. She is a member of the PEN German-speaking Writers Abroad and has published many articles and edited a dozen books, the latest being German Reunification and the Legacy of GDR Literature and Culture (with D. Byrnes and J. Conacher, 2018, Brill). Her monographs include Erlebnis Irland (1996, WVT), Heinrich Böll and Ireland (2011, paperback 2012, CBS) and An Irish Sanctuary: German-speaking Refugees in Ireland 1933-1945 (with H. Dickel, 2017, paperback 2018, de Gruyter). She is currently engaged in a project on Fontane’s Wanderungen durch die Mark Brandenburg and one on German migration to Ireland since 1922. Bettina Migge studied in Hamburg, Yaoundé (Cameroon) and Berlin and received a PhD in Linguistics from the Ohio State University. She worked as Hochschulassistentin at the Johann-Wolfgang Goethe Universität, Frankfurt am Main and is currently Professor of Linguistics, Head of the School of Languages, Cultures and Linguistics at University College Dublin and a member of the research group Structure et Dynamique des Langues (SeDyL UMR 8202) in Villejuif, France. Her research interests are in the broad area of language contact, language documentation, sociolinguistics. Empirically her research has focused on the Americas, specifically the Creoles of Suriname and French Guiana, and on migration to and language in Ireland. Her publications include book length studies Exploring Language in a Multilingual Context: Variation, Interaction and Ideology in Language Documentation (with I. Léglise, 2013, CUP) and edited volumes Support,Transmission, Education and Target Varieties in the Celtic languages (with N. Ó Murchadha 2017, Routledge), New Perspectives on Irish English (with M. Ní Chiosáin, 2012, John Benjamins). She is currently engaged in a multi-year participatory dictionary project in French Guiana.